The Luxury line has a new range of tools with a special shaped handle designed exclusively for gardeners with small hands. The fantastic feature of the Luxury Push Hoe is the 145 cm fitted handle for a better grip for the smaller and delicate hands. 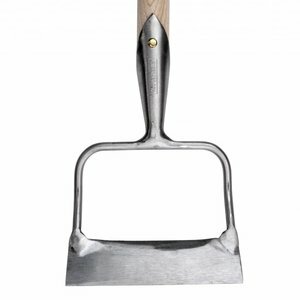 The Luxury Push Hoe is a great tool for weeding in compact planted areas with it's 12.5 cm wide by 5 cm deep blade.